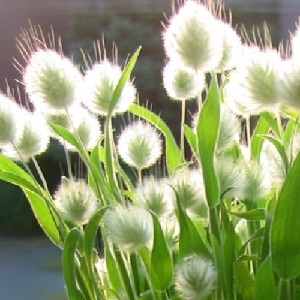 A decorative grass with fluffy oval cream flowerheads resembling a Bunny’s tail. The flower heads appear from June to August and rise above a tuft of narrow green leaves. Perfect for the garden and for containers. Great cut and dried flowers. Bunny’s Tail grows best in a sunny warm part of the garden with well drained or sandy soil. 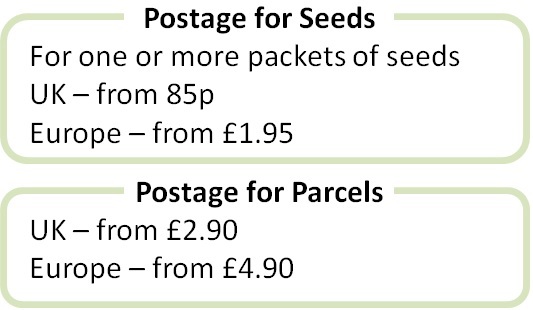 Pack of approx 500 seeds. Sow in spring or autumn directly into the ground in spring or autumn. Sowing instructions and a colour photo are printed on the packet. Sow in spring or autumn directly into cultivate soil. Sow the seeds in drifts or waves. Rake over the soil and keep moist and seedlings emerge in 2-4 weeks depending on the temperature. Or sow in trays or small pots of compost in spring, keep at 15-18°C and germination takes 2-3 weeks. These annuals grow, flower and die back in the same year. They need very little maintenance once settled in. Remove spent flowerheads to encourage more to grow. Remove the plants in winter once they have died down. Scatter the seeds in the garden if you want the plants to self seed.